Worcester Reed Warner and Ambrose Swasey (W&S) started a machinery, tools and instrument business in 1880. Soon, the company became famous with the construction of telescopes. In 1886 they built the telescope for the Lick Observatory. Their other product line consisted of metal working machinery such as lathes and milling machines. The company reorganized in 1900 under the name of The Warner & Swasey Company. In the 1900s W&S built scopes for sniper rifle's. Reincorporated in 1928 under the same name. In the 1950s the company got involved with Wang Laboratories. Wang was the supplier of some of W&S' machine numerical control (NC) units. NC machines had servomechanisms driven by program instructions from a digital circuitry. The program consisted of sequences of machine control commands and needed to be fed to the machine through punched paper or magnetic tape. Each time a parameter in the program changed, the program had to be changed and be fed again to the machine. 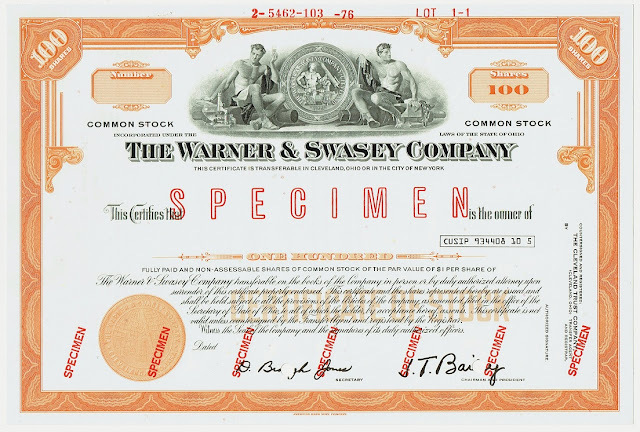 In 1960 W&S buys 25% of the Wang company. In 1964 W&S purchases the Wiedemann Machine Company, a manufacturer of NC turret punch presses. In the 1970s W&S introduced Computer Numerical Controlled (CNC) machines. A CNC machine is a machine that interfaces with a dedicated (mini)computer, making the machine more versatile. When a change of a dimension of a part is required, one only has to change a variable in the computer and the modification was done. 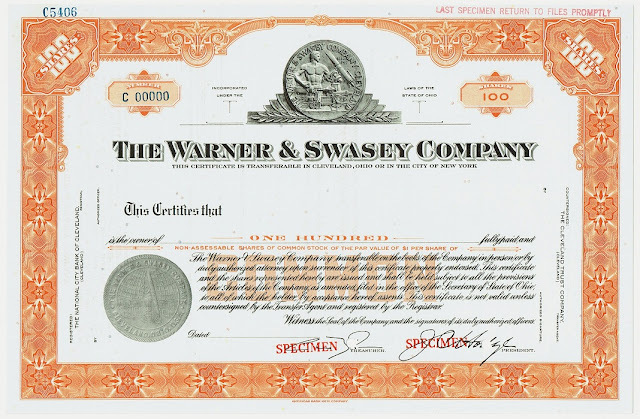 In 1970 Murata Warner Swasey Co., Ltd., a joint venture with the Murata Machinery, Ltd., Kyoto, Japan was established. Bendix acquired W&S in 1980. 1970 Wiedemann introduces the first CNC turret punch press, the Wiedematic W2040. 1974 W&S purchases the Comstar Corporation of Minneapolis, Minnesota. Comstar was a producer of microcomputer control and automation systems and introduced in 1972 its System 4 microcomputer. 1975 Warner & Swasey's Comstar Microcomputers Group introduces an 8-bit microcomputer series, known as the Comstar System 8 (CS-8) Series. W&S designed the chip sets on their own since they felt that the currently available microprocessors were not fast enough. 1975 Introduces a 4-bit industrial microcomputer system, the Comstar System 4A, built around the Intel 4040 microprocessor. 1975 The French R2E (Réalisations et Études Électroniques) signs Warner & Swasey Company as the exclusive manufacturer and marketer of the Micral line in the United States and Canada. 1976 R2E and Warner & Swasey display the Micral M multiple microprocessor system at the June National Computer Conference, NYC. The Micral M consists of up to eight Micral S microprocessors, Intel 8080, each with its own local memory and sharing the common memory so the local and common memory look like one monolithic memory for each processor. The system has a distributed multiprocessor operating system based on sharing common resources and real-time task management. 1976 Murata Warner Swasey introduces a CNC Right Angle Shear, the OS 412. 1976 The Computer Division of the Warner & Swasey Company introduces its RT-4 Remote Intelligent Terminal intended for heavy industrial applications. It consists of a family of 4-bit microcomputer modules built around the Intel 4040. In 1888 Warner & Swasey built a 36-inch (91-cm) refracting telescope (lens manufactured by Alvan Clark) for Lick Observatory, University of California. Astronomer E. E. Barnard used this telescope, when he discovered Amalthea, the fifth moon of Jupiter. The planet's first four moons were observed by Galileo 300 years earlier. 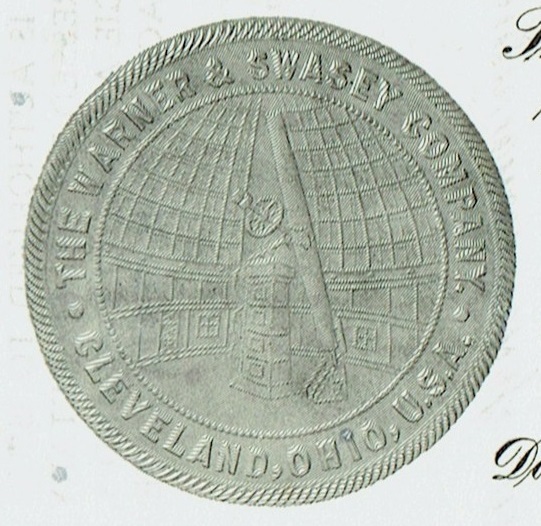 The drawing on this company seal originates from Warner & Swasey's 40th Anniversary Medal, 1880-1920, designed by Victor David Brenner.